Hello friends! Did you hear the news??? I recently became a Designer for Chalk Couture. I am so excited about this venture for one simple reason. I LOVE THIS PRODUCT!!!! And I want to tell everyone about it. And one of those ways is by branding using my Cricut. 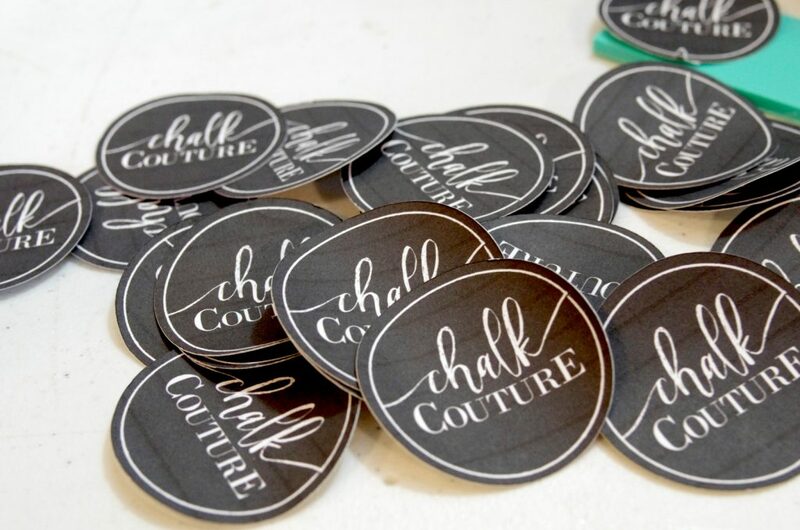 Telling the world – well everyone I see anyway – how much I love Chalk Couture by having the logo and certain key words about Chalk Couture on items that I use all the time. Like a water bottle for example. I have a plain Contigo 20 oz stainless steel water bottle that I use at the gym and also take on bike rides. 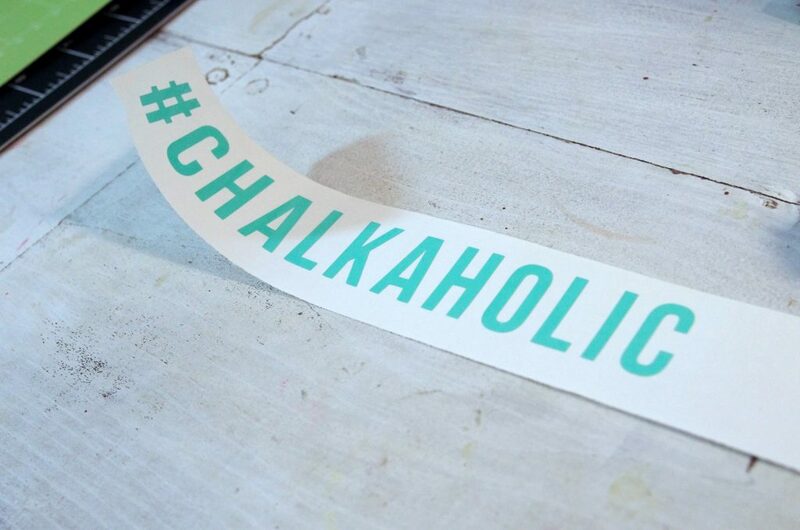 I simply typed out the word “chalkaholic” in Design Space and cut it out of a piece of 641 vinyl that I found in my stash that’s the perfect aqua color. The same color Chalk Couture signature color! I decided to add a hashtag at the beginning of chalkaholic. Another thing I need was stickers. Logo stickers. These were so simple to make using Cricut Print Then Cut. All I had to do was upload an image of the Chalk Couture logo. That’s it. 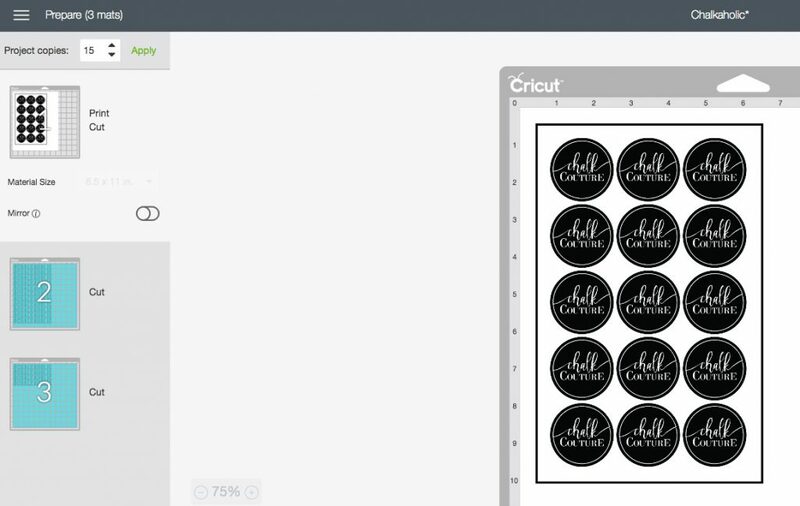 Cricut Design Space automatically converts it into a Print Then Cut! I sent it first to my printer that was loaded with Avery full sheet label paper (see image above). Then I placed the printed label paper onto a Cricut cutting mat and loaded the mat into my Cricut Maker. The Cricut Maker cut out just the outer circle of the logo. How the Cricut knew to just cut the outer circle is a mystery to me! But I’ll take it! I made a few big logo stickers and 15 smaller ones so far. 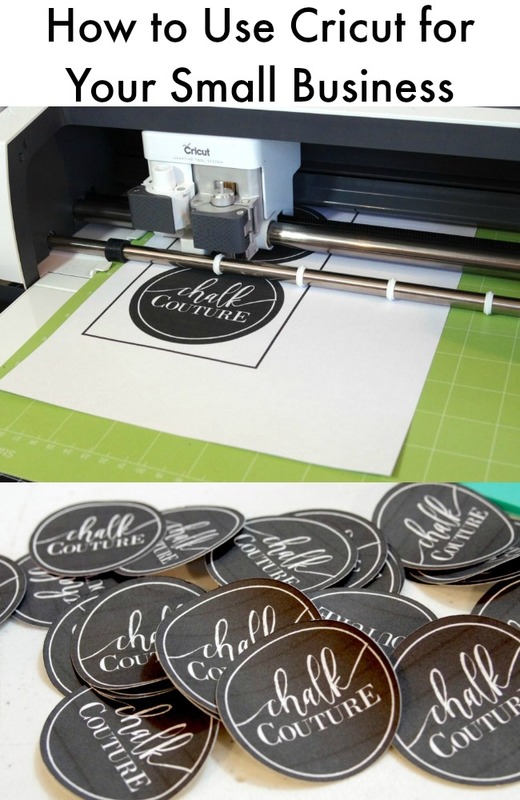 I’ll be using these stickers on the containers that I use to carry Chalk Couture products to workshops and events. And I’m sure I’ll find a million other places to put these stickers. Here’s another idea I saw: reverse stickers for the inside of car windows. To make these, reverse the image so the sticky side of the vinyl is against the inside of the window. These are all so pretty! Chalk Couture is so neat! I love watching the tutorials. 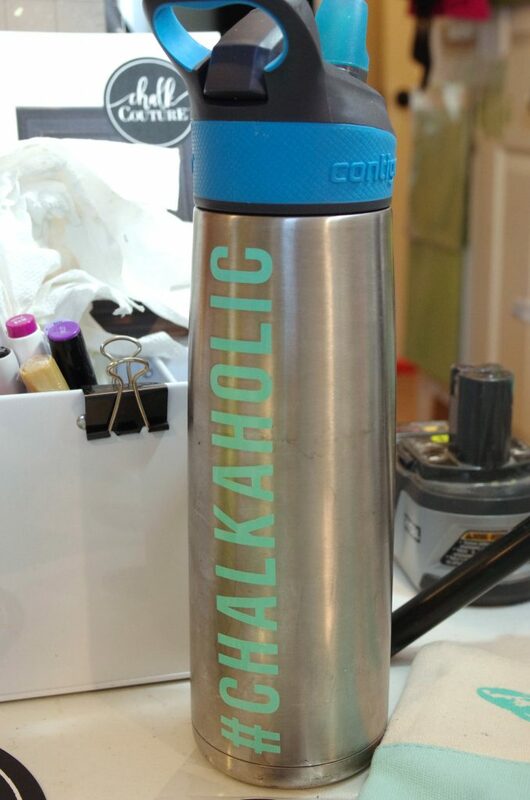 I love using my cricut to personalize my stuff. Making stickers is the best! Such a fun idea. 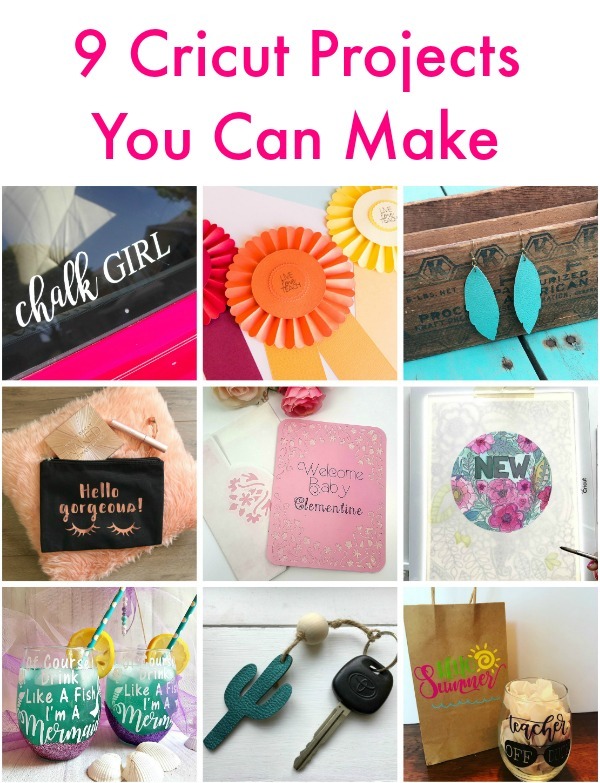 I love that you are DIY’ing your business and they all came out fabulous. This is a great tip! Thank you for sharing! We would love for you to come link up on our new party Wall to Wall DIY over at R&R at home! The Cricut is so handy for so many things! Thanks for sharing with SYC.